The Plastic Fire Bucket is suitable for many applications, including garage forecourts and cleaning up spillages. It is D shaped in order to fit against or on a wall with ease. 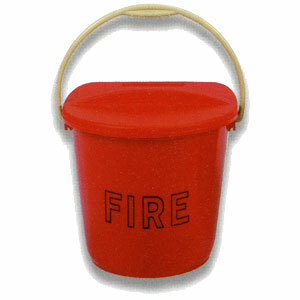 Fire bucket bracket available as well as lid. The use of Flamezorb is recommended instead of sand.